This book blew. MY. MIND!!!!! 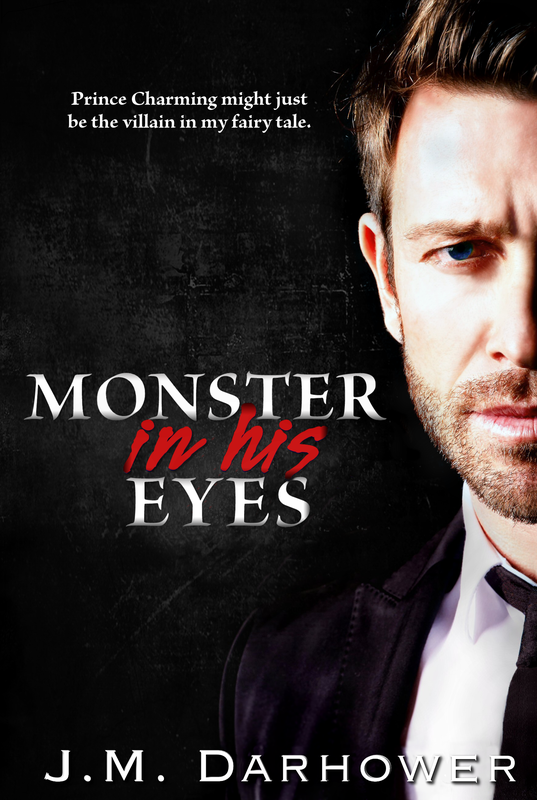 I still can’t wrap my head around Monster in His Eyes–it was nothing like I ever expected, and I LOVED it! It’s intense, raw, suspenseful, gorgeously written, and so freaking goooood!!! We have our heroine, Karissa, an 18-year-old freshman at NYU who’s just a normal girl trying to distance herself from her overbearing mom. She’s getting through her first year of college–she’s normal, relatable, and I easily connected with her as the heroine. J.M. Darhower portrays her perfectly as a college girl, but the story really only picks up when Karissa meets Ignazio “Naz” Vitale. Ignazio Vitale, who is 36, intense, and holds so much raw confidence and power in himself that Karissa never stood a chance against him. As Karissa starts falling for this man, a man she really knows nothing about, it’s all very romantic, but I could never get that feeling–the chills-up-your-spine kind of feeling–out of my mind. There was always something more to Naz, something dark and dangerous, and I never forgot it, and neither does Karissa. I honestly didn’t know what to think about Naz. Did I think he was too old for Karissa? Yes, but I could deal with that. Did I fall for him? Maybe a liiitle bit–he’s insanely sensual and passionate, but I just couldn’t ignore the warning bells ringing in my head. Because there’s no doubt that Naz is very dark and very, very dangerous. And when his eyes cut my way, and I see the darkness on the surface, I’m reminded that this man hangs out with monsters. And one might even exist inside of him. Ignazio Vitale is one very intriguing man, and J.M. Darhower has written him so very, very perfectly. I swooned and I gasped, and I felt an incredibly wide range of emotions because of him. He’s such a thrilling character to read about, especially from Karissa’s POV. The author’s writing is brilliant, and I don’t think I’ve ever been more fascinated in and intrigued with a character than I am about Naz. He lives in his own little world, where he’s the king, and I’m more than happy to be his minion… although, when he looks at me, flashing that dimple, I feel like nothing less than his queen. Naz is addictive and powerful, sweeping Karissa off her feet and carrying her into his world, but it’s not exactly a HEA for them. There are dark twists and turns in this book, things that were jaw-dropping and had me reeling. Fans of suspense will not be disappointed. I honestly couldn’t get enough of Karissa and Naz’s story. I never wanted it to end, and now I’m pretty much dying for book 2, Torture in Her Soul!! Monster in His Eyes is a fascinating, fantastic book that had me hooked from the start. So go READ IT! !